Canoeing Day Trip from Bodø in Northern Norway. Family friendly and fun! Guided canoe daytrip on scenic rivers or lakes. 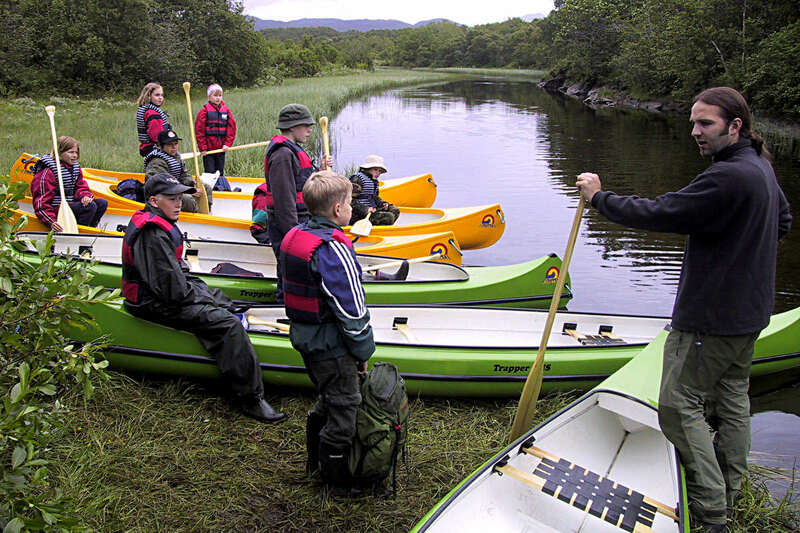 Canoeing is an excellent way to get to know nature around Bodø. No previous experience in canoeing is required. The pace is relaxed, which makes this canoe trip suitable for families of all abilities and experience levels. Canoeing on rivers is great fun! Photo: CH-visitnorway.com. 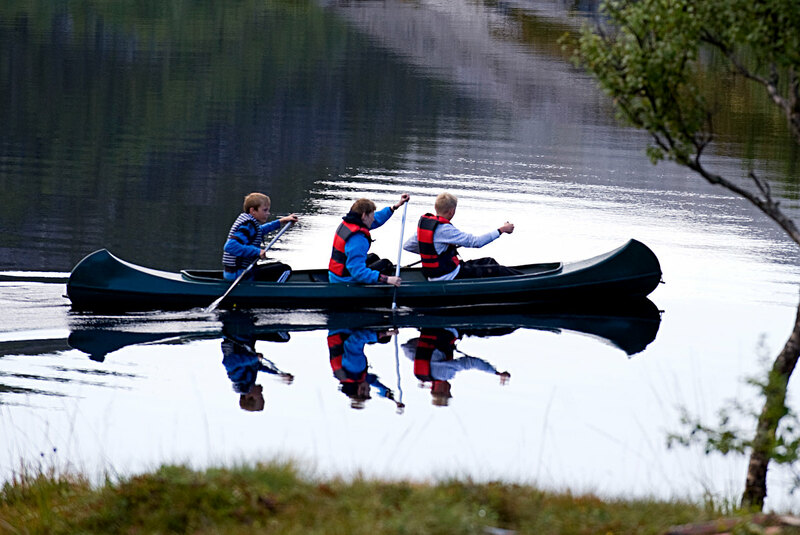 Canoeing is one of the most intimate ways to explore and enjoy the nature nearby Bodø. This is an excellent outing for family groups. You’ll have opportunities to rest, relax, explore, and spend quality time with friends and family. 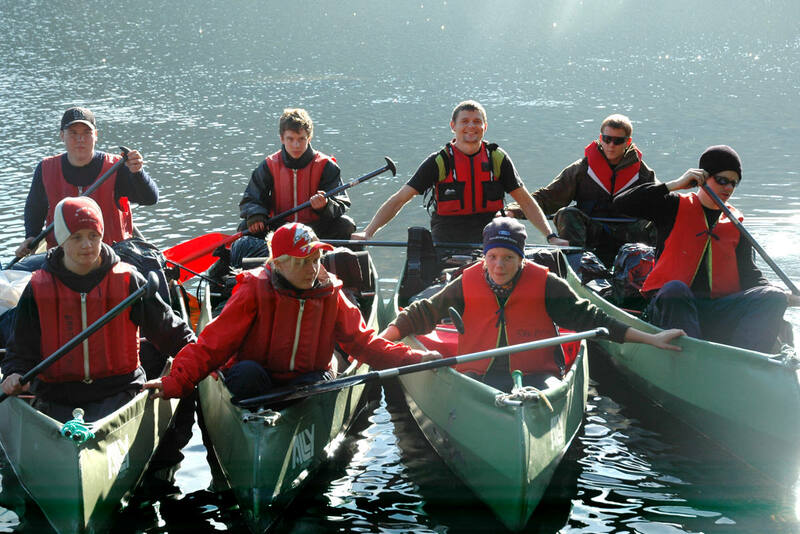 Improve your skills – an experienced guide adds a whole new dimension to your canoe trip. 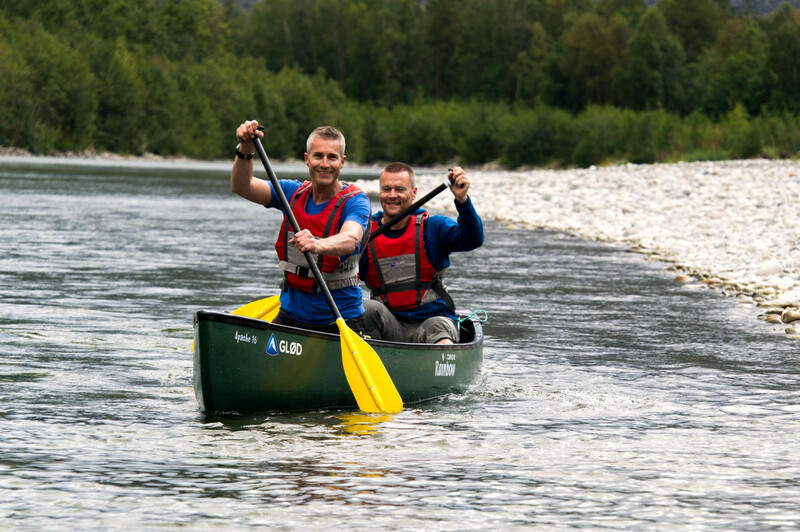 We can help you improve your canoeing skills. Where – the precise location for this canoe trip will be chosen by the guide due to local conditions, such as weather, wind and water level. Easy. Nearly everyone can join. Please see details below. Is this trip for me? This trip is designed for beginners and intermediates. You don’t need any specific skills. Nearly everyone can join. Grading: this trip is graded as Easy. Minimum age: reccomended minimum age is 6 years. Personal clothing due to the weather for a short outdoor trip. A day pack is useful and a drink and snacks are nice to have. Gear for canoeing: canoes, paddles, lifevests. Typical group size for our trips range from 2 to 15. We prefer to keep the group size as small as possible for these trips, which improves the experience for the participants and guide alike. Larger groups can easily join this trip, then we will we divide the group into smaller groups of 8 – 10 people, each of which trip are accompanied by their own guide. Where will the trip take place? Our first Choice is Futelva river (11 km/ 15 min from Bodø). Other locations if water level here is too low. Best time for Futelva river is April – June. Normally no need to cancel due to weather. The only exception is extremely strong wind and/or heavy rain. Canoeing could be great fun even in rainy weather if you are well dressed. If weather turns bad we will choose an alternative and sheltered location. 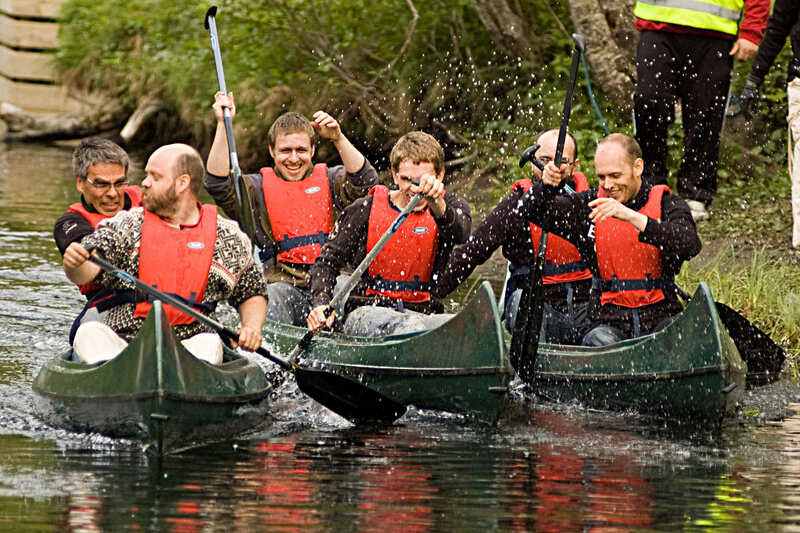 Want to Know More about Canoeing in Northern Norway?